There is no bubble in Irish house prices. Despite the prevalence of the view that a bubble exists - 39pc of people believe there to be one, according to the latest Sunday Independent opinion poll - that belief is plain wrong. Why? Bubbles don't inflate without lots of credit. I cannot find an example anywhere in the world of a property bubble-crash that has taken place without being preceded by a sustained period of rapid lending growth. Since the tsunami of credit receded six years ago, new bank lending has been the faintest of trickles compared to any time over the past 40 years, as the first chart on this page shows. The number of mortgages issued in the first three months of 2014 was just over 3,000. That was half the level of the mid-1980s, a time of deep gloom in the Irish economy, and one third below the mid-1990s, well before the property frenzy started. It was fully one tenth of the quarterly rate of mortgage issuance at the height of the frenzy. Add to all that the fact that households continue to pay back more debt than they have been taking on, as the second chart shows. All that said, bubbles could emerge in the future and the authorities need to be prepared to act aggressively to prick them before they inflate to a point that their bursting would cause damage. Of the many lessons to be learnt from recent decades is that liberalised financial markets are highly imperfect. From Finland, Sweden and Norway in the early 1990s to the recent crashes of Ireland, Iceland and the Baltics (and most of the rest of the western world), finance has a strong tendency to blow itself up. Although the dangers were recognised before the great crash of 2008, most countries did not intervene to dampen inflation in asset prices, including those of property. Ireland was one of those countries. Spain, by contrast, was more interventionist. Its construction and property boom was very similar to Ireland's by most metrics, but the Spanish central bank introduced "dynamic provisioning" for its banking system in 2000. In essence, this meant that as banks increased lending, they had to increase the amount of retained profit to cover future potential losses. Though the policy was far from completely effective, it went some way towards shielding Spanish banks and the Spanish exchequer from Ireland's fate. Despite a huge decline in property prices and mass unemployment, many Spanish banks survived the crash unaided and the level of loan losses in their banking system was much lower than here. Last Wednesday, Ireland's Central Bank - an institution which deserves a big chunk of the blame for the State's failure to prevent the bubble inflating - published a new framework on how it could stop property price bubbles inflating in the future. Putting flesh on the bones of ideas which Central Bank governor Patrick Honohan sketched in this newspaper two months ago, last week's menu of bubble-bursting measures contained lots of "macroprudential tools" - the jargon term for those measures that regulators can take to curb asset price inflation. In order to prevent excessive risk-taking, the Central Bank has been belatedly converted to Spanish-style dynamic provisioning. This tool would, if used, mean that the higher the amount of mortgage lending a bank engages in, the more profit it would have to set aside (something that upsets shareholders in the short term, but reduces the risk of them losing everything in the longer term). The marginal cost to the bank of each extra loan would thereby increase, in the process disincentivising rapid expansions in lending. Among the other tools available to the banks are caps on loan to the value (LTV) of a property and caps on loans relative to the borrower's income (LTI). LTV caps involves placing a maximum on the amount that can be loaned against a property, and LTI places a cap on the maximum multiple of gross income that can be borrowed for a mortgage. Looking back at the Irish crisis, at the peak in 2006, average LTI was above four times, and not far off half of all mortgages had a LTV of over 90pc. This meant that many buyers had very little equity space in their mortgages when house prices started to fall, while also being highly leveraged - the worst possible position to be in when entering a property crash. Both ratios were clearly too high. If there is cause to be concerned about what is happening in the property market now, it is that banks have not changed their positions on LTV ratios and that it is still possible to borrow far more of the price of a house than in most other countries. Last year half of all new lending to owner occupiers was at over 80pc LTV. It is more than curious that the Central Bank did not long ago oblige the banks to lower their LTV ratios given that its own research shows a clear link between higher ratios and default. 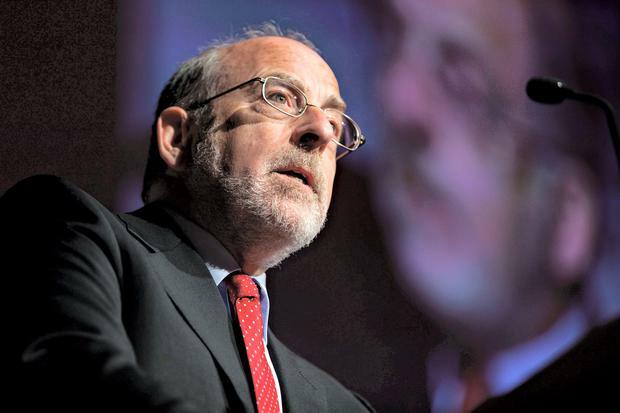 It is past time that Mr Honohan brings lending ratios into line with norms elsewhere. If he fails to halt one of the few aspects of bubble era bank behaviour that persists, it will augur very badly for the future. Though not an issue currently, and not in the remit of the Central Bank, the supply of housing may also need to be controlled in the future. Much of the problem in the recent past was that banks were both lending for the construction of houses as well as the purchase of those same houses. The result was almost 100,000 homes being built in a year at the height of the mania, four times the long run average. Given that it was the collapse of the bloated construction sector that caused so much of the misery, the authorities should be prepared to intervene if the sector bloats again. If the number of houses constructed rises above the level deemed necessary to meet demand - say 30,000 - the authorities should signal that they would use the tax system to discourage supply. Though that is a long way off, and output at that level may not be reached again, lessons of the recent past point to the need to have such a tool ready and deployable. And then there is education. The TV ad from the bubble period, in which a guy admits that he does not know what a tracker mortgage is, illustrates that many people don't know much about personal finance. It could be worth introducing "pre-mortgage courses", much as people do pre-marriage courses before entering into that other big life contract. Potential buyers, and particularly first-time buyers, would have to attain a certain level of understanding on the risks associated with taking on so much debt before they actually do so. But whatever tools are used, the prevalence of very serious market failure in finance means that a laissez faire or light touch approach can no longer be countenanced. Aggressive intervention by central banks and the authorities more widely, using the many tools at their disposal, will be needed if and when the warning lights start flashing again.